1) ViralSweep is now a fully embedded Shopify app. You can access it directly from your Shopify admin panel, and build your campaigns inside of Shopify. 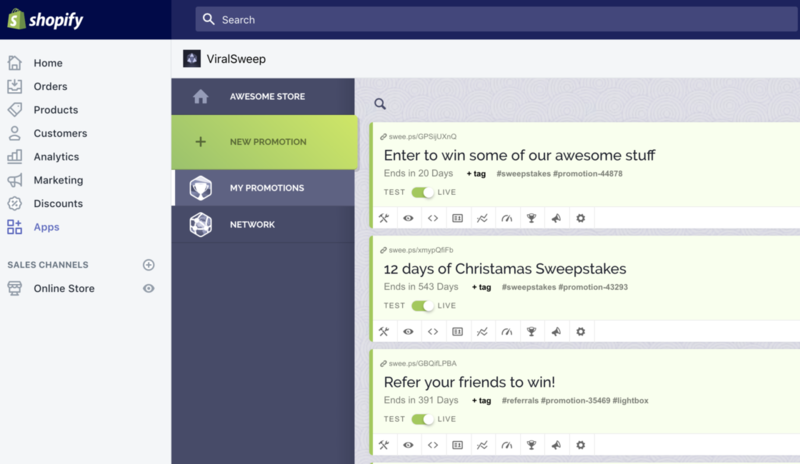 2) All new Shopify users will now see ViralSweep appear directly on their Shopify bill, you no longer have to manage the subscription through ViralSweep. For existing Shopify users who had an account with us as of December 5, 2018 or prior, your billing will still be within ViralSweep.